Cold storage facilities are likely not the first buildings that come to mind when thinking about high performance buildings. However, the number and size of these facilities are growing every year, in part due to a worldwide focus on improving the “cold chain” for perishable food products. For most cold storage facilities in temperate regions peak electricity consumption occurs during product harvest, which occurs in the summer and autumn months during daylight hours when temperatures and electricity prices are the highest. Because it is not feasible to shift cooling loads by changing the harvest operation or schedule, and because of a heightened interest by utilities and regulators in demand side load management, it seems imperative to question the efficacy of refrigeration industry status quo construction type – the low-mass, insulated metal panel (IMP) building. With grant support from the Rural Energy for America Program (REAP), the authors designed and constructed a cold storage facility which uses a unique wall and refrigeration system that together reduce energy use and shift electrical demand to off-peak times of the day . 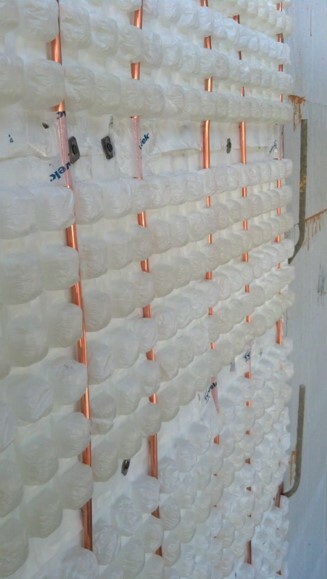 The energy efficient wall employs structural concrete membranes wrapped around an R-100 insulated core. 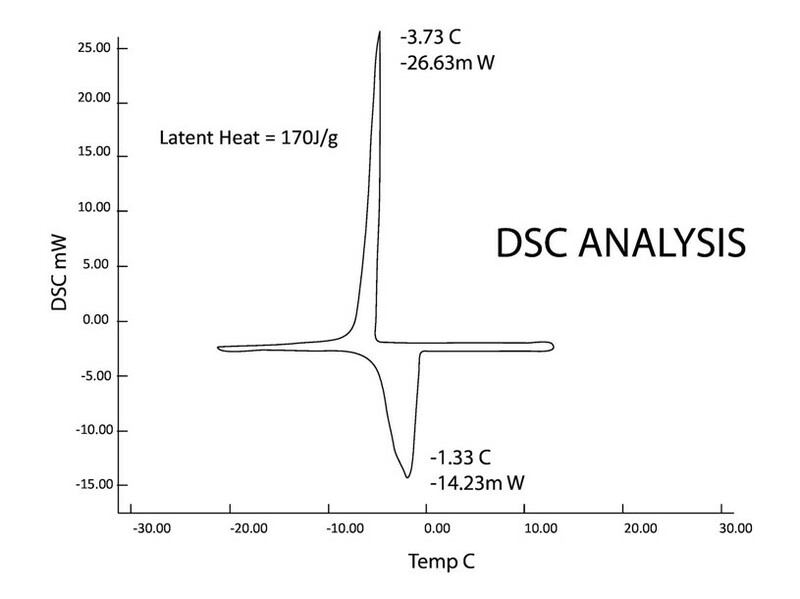 Enhanced thermally with phase change material (PCM), the thermal storage capacity of the wall is increased twelvefold compared to a standard concrete wall, theoretically enabling the facility to span a six hour peak-demand period without relying on conventional refrigeration. An efficient ammonia and carbon dioxide based refrigeration system, coupled to tubing embedded in the wall actively charges the thermal mass off-peak and harvests the stored energy on-peak. The facility described in this paper is constructed from durable materials that reduce the frequency of repair and replacement, uses fewer resources, generates less waste, and requires less energy for operations. Load shifting is paramount to the increased reliability and efficiency of the energy grid and allows local, clean energy sources to supply a larger portion of the overall energy portfolio by reducing peak-demands. Contact us today for a customized evaluation on how STASIS can benefit you with your next Cold Storage project.